Holy Moses, this is actually happening tomorrow. Can’t wait to see you. Here’s what you need to know. Is it free? It is! But if you want to bring a few dollars to donate to the Beverly Area Arts Alliance (see below) then everyone will think you’re smart and good-looking and generous. How do I get there via transit? Take Metra’s Rock Island line to 111th. Walk west toward Longwood then up the hill and keep going until you hit Western Avenue. Make a right and you’re there. Where can I eat? Get to O’Rourke’s early and order in from Waldo Cooney’s or Leona’s and you can get a 20% discount. Five Star Burgers is also nearby. If you don’t mind a walk there’s Home Run Inn Pizza up the street or Horse Thief Hollow for an after-show beer. What are the stories like? Some are sincere, some are tongue-in-cheek. One may be a call-to-action, another might make you think. One might be historical, one might make you remember a place you haven’t been since childhood. Basically, like having a conversation with someone you haven’t seen in a while. Who’s helping you with this? I’m producing this in partnership with The Beverly Area Arts Alliance (or The Alliance, for short). 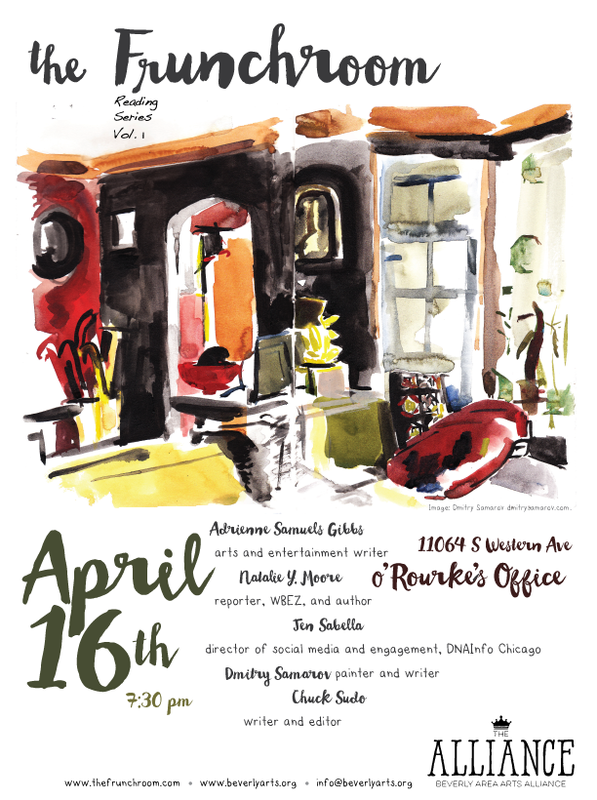 They’re a great non-profit and you should check out some of their other upcoming events including a figure drawing workshop on April 27th and the 2015 Beverly Art Walk on October 3rd. Where can I find out more? Check out some press we’ve received from DNA Info Chicago and The Beverly Review. This entry was posted in Uncategorized and tagged april 16. Bookmark the permalink.